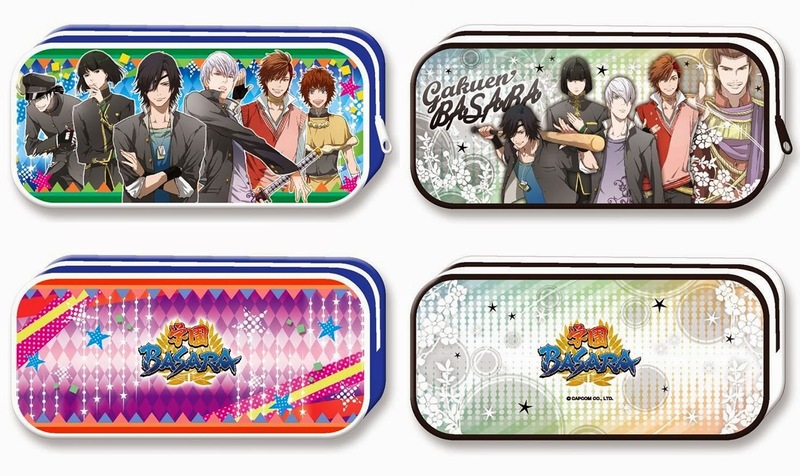 Raindrops and Daydreams: News: Gakuen Basara merchandise - round two! 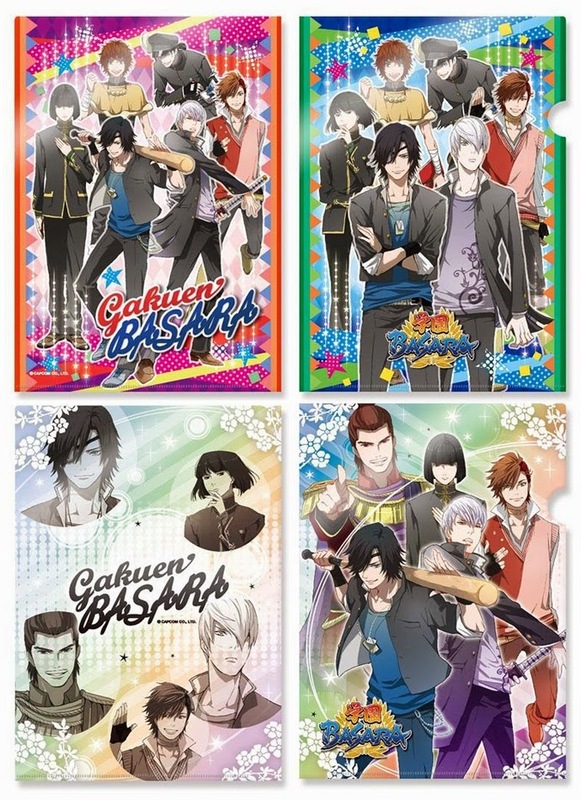 The previous Gakuen Basara merchandise must have been well-received because Animate's online store has revealed details of another batch! Here's a look at what's coming up on 25th September 2014 to go with the student handbook pass cases, student IDs, cosplay pin badges, 'second buttons', book covers, bookmarks, pencil boards, clear files and character badges released back in March. Two-piece 'nameplate' sets for Motochika/Motonari, Sakon/Katsuie, Yukimura/Sasuke, Mitsunari/Ieyasu and Masamune/Kojuurou. Each set costs ¥680. A Gakuen Basara school jersey available in a choice of S, M, L and XL sizes for ¥7,800. 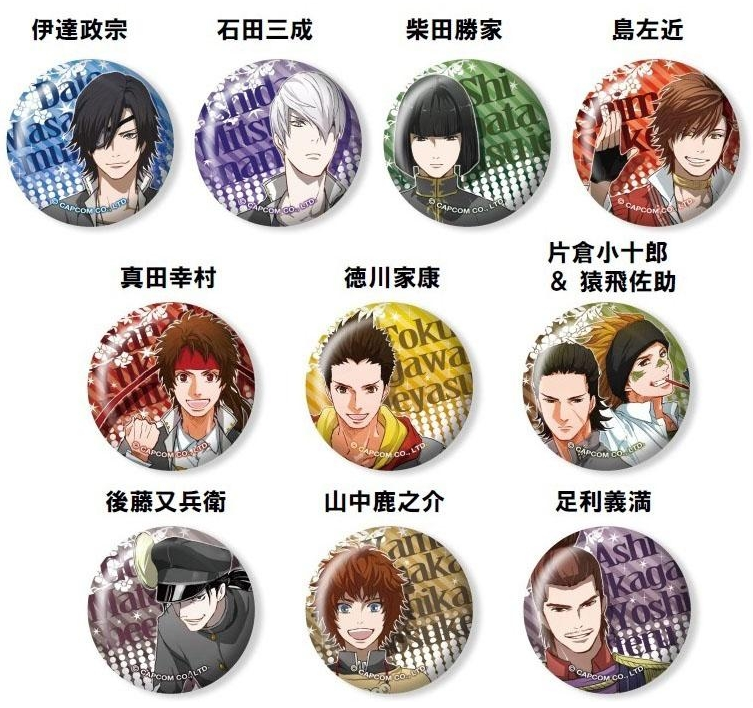 A second set of ten character badges for ¥3,000. A choice of two pencil cases in Colourful or Soft designs for ¥1,200 each. Two shitajiki (pencil boards) in Colourful or Soft designs for ¥300 each. 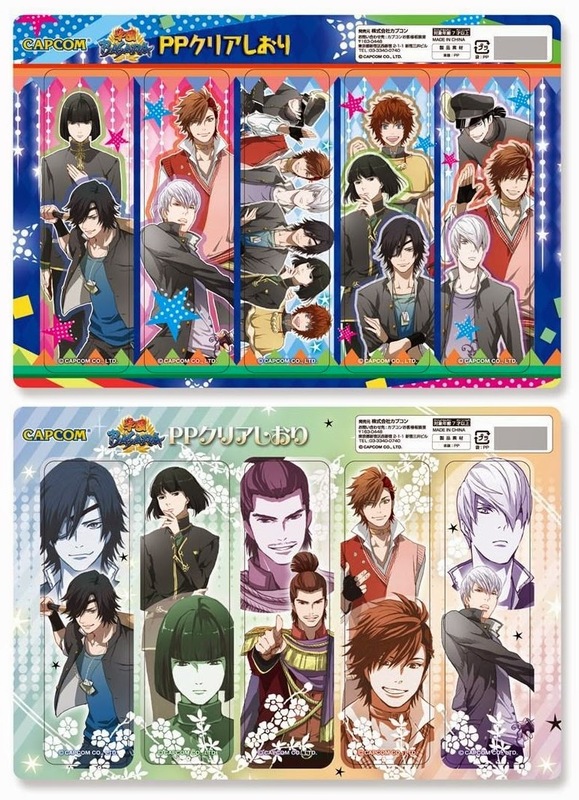 More clear plastic bookmarks, in Colourful or Soft designs for ¥500 each. 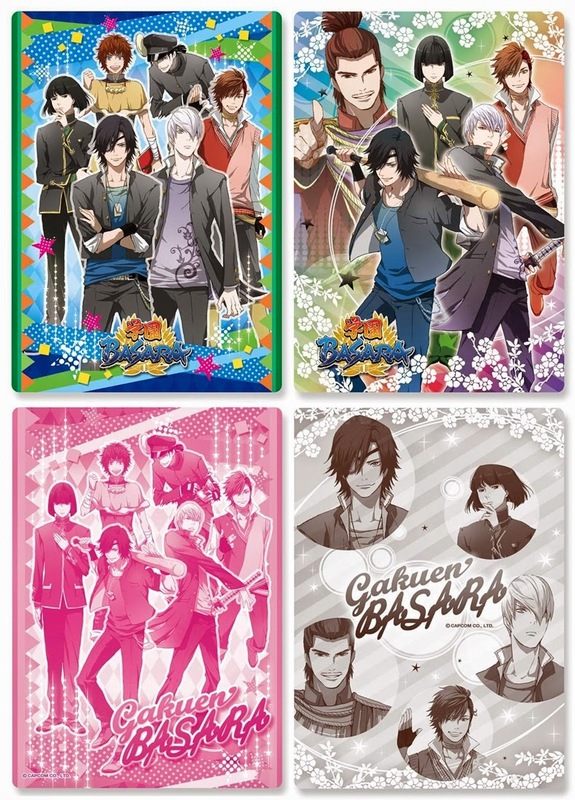 A4 clear files - also in Colourful or Soft designs - for ¥350 each. While Animate doesn't ship internationally, they accept foreign credit cards and can ship to proxy addresses. Alternatively, the goods can be purchased directly from Otaku Republic (international shipping is included in the price).